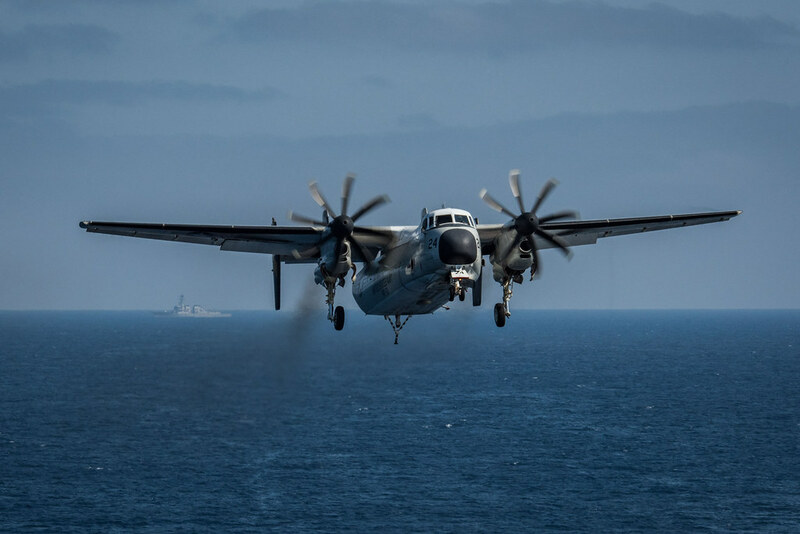 PHILIPPINE SEA — Search and rescue operations continue for three personnel following a C-2A Greyhound aircraft crash southeast of Okinawa at 2:45 p.m. today. Eight personnel were recovered by the “Golden Falcons” of U.S. Navy Helicopter Sea Combat Squadron (HSC 12). The eight personnel were transferred to USS Ronald Reagan (CVN 76) for medical evaluation and are in good condition at this time. USS Ronald Reagan is leading search and rescue efforts with the following ships and aircraft: U.S. Navy guided-missile destroyer USS Stethem (DDG 63); MH-60R Seahawk helicopters of the “Saberhawks” from U.S. Navy Helicopter Maritime Strike Squadron (HSM 77); P-8 aircraft from the “Fighting Tigers” of U.S. Navy Maritime Patrol and Reconnaissance Squadron (VP) 8; P-3 Orion aircraft of the “Red Hook” U.S. Navy Maritime Patrol and Reconnaissance Squadron (VP) 40; Japan Maritime Self-Defense Force (JMSDF) Helicopter Carrier Japan Ship (JS) Kaga (DDH 184); and JMSDF Hatakaze-class destroyer Japan Ship (JS) Shimakaze (DDG 172). At approximately 2:45 p.m. Japan Standard Time, Nov. 22, 2017, the C-2A aircraft with 11 crew and passengers onboard crashed into the ocean approximately 500 nautical miles southeast of Okinawa. 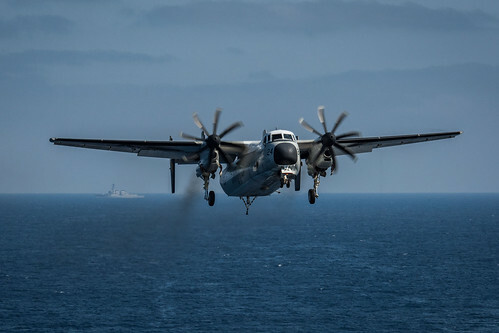 The aircraft was conducting a routine transport flight carrying passengers and cargo from Marine Corps Air Station Iwakuni to USS Ronald Reagan. The C-2A is assigned to the “Providers” of Fleet Logistics Support Squadron Three Zero, Detachment Five, forward deployed in NAF Atsugi, Japan. Detachment Five’s mission includes the transport of high-priority cargo, mail, duty passengers and Distinguished Visitors between USS Ronald Reagan (CVN 76) and shore bases throughout the Western Pacific and Southeast Asia theaters. The names of the crew and passengers are being withheld pending next of kin notification. The incident will be investigated. A family assistance center is online at Commander, Fleet Activities Yokosuka. Families who live off base in Japan can call 0468-16-1728. Families living in the United States can call +81-468-16-1728 (international); families who live on base can call 243-1728 (DSN).